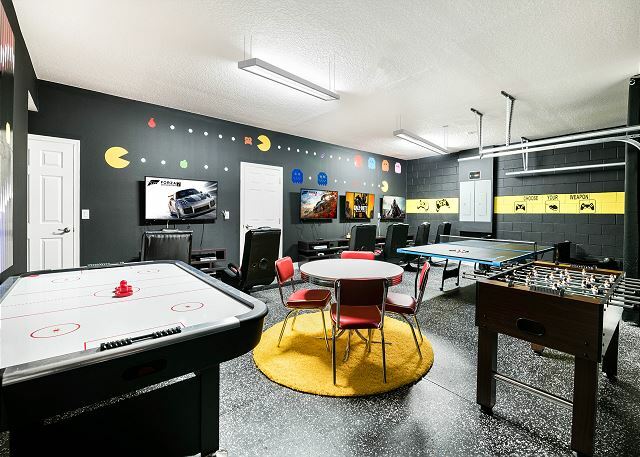 - Private Pool & Spa with a Extended Pool Deck - Air Conditioned Pac Man Themed Game Room with Air Hockey, Foosball, Ping Pong, and 4 Tv's each with its own gaming console! 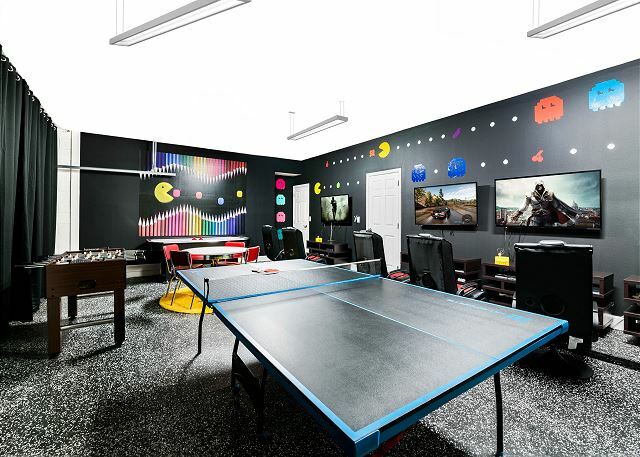 - Brand New Arcade Machine with over 2000 Games for hours and hours of fun! 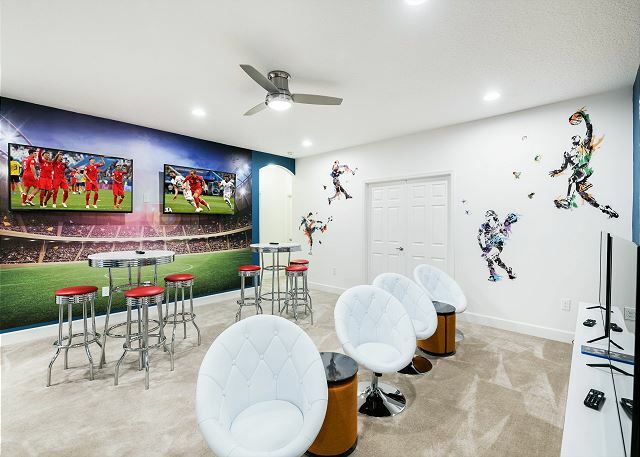 - Sports Lounge Upstairs with a Wet Bar, Pool Table, Multiple TV's and gaming Consoles- Movie Theater Seating and Projector in the Movie Room- Family Fun at it's Best! 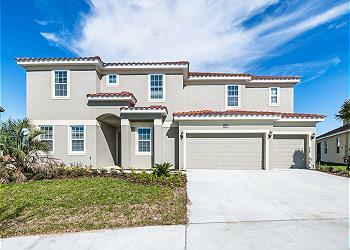 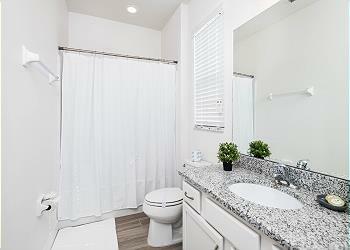 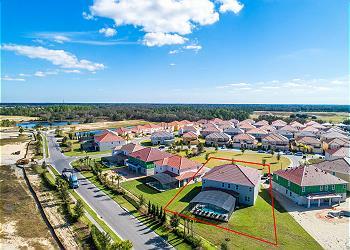 This home is just about 10 Miles From Disney! 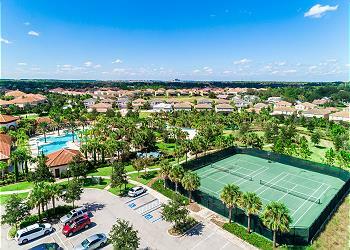 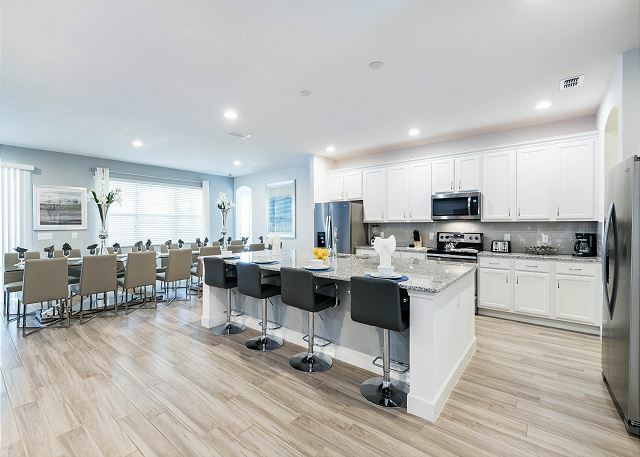 - Less than 3 Miles from the Main Interstate i-4 - Less than 5 Miles from Target, Publix, a Movie Theater and the Posner Park Shopping Complex. 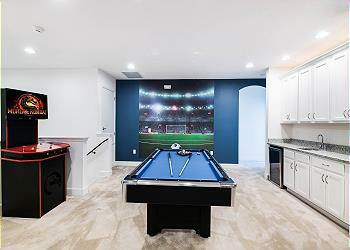 All 5 Bedrooms Downstairs are King Bedrooms. 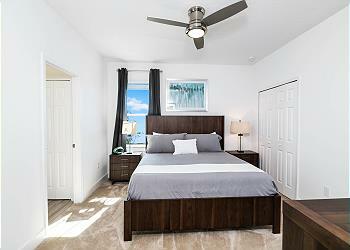 (4 of them are En Suite Bedrooms) Upstairs you will find 7 King Bedrooms. 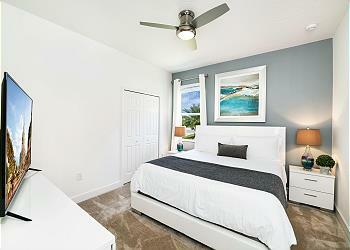 (3 are En Suites) Upstairs you will also find 2 more bedrooms. 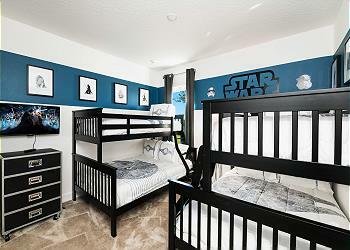 The first is a Star Wars Bedroom with 2 sets of twin over Full Bunk Beds. 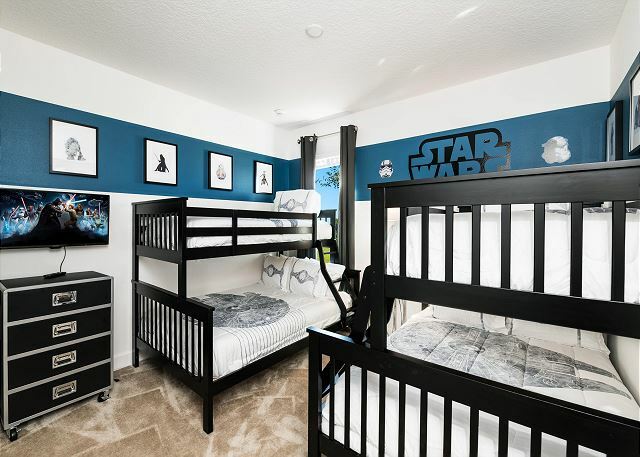 The last bedroom is a Harry Potter Bedroom with a twin and a full. 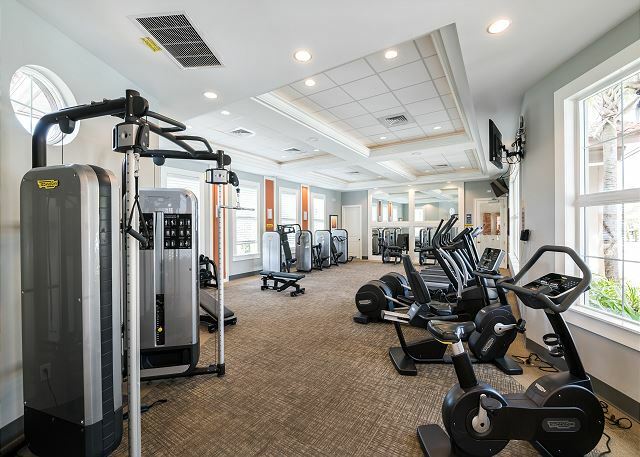 You will have Free Access to the On Site Clubhouse Pool Area that has a Large Pool, Slide, a New Lazy River, A Fantastic Fitness Center, a Beach Volleyball Court, Kids Playground and Much More! 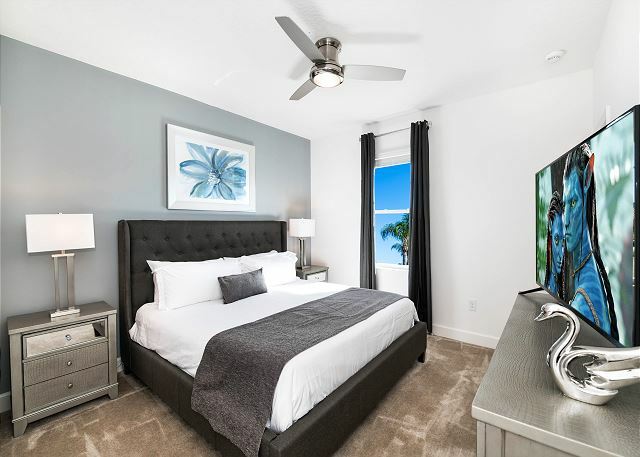 This 14 bedroom 11 Bath Luxury property checks all the boxes, Plenty of benefits and features to keep You and Your Guests Entertained. 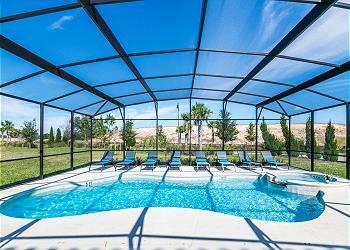 The Guests Really Enjoy the Over-sized Pool Deck! 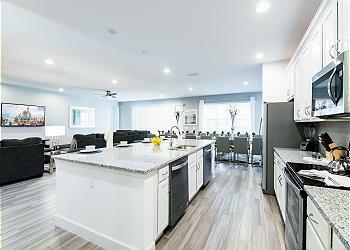 Which is the largest deck offered by the Builder. 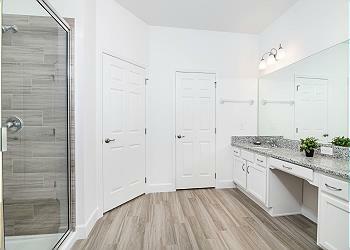 Please don't hesitate to ask us any questions. 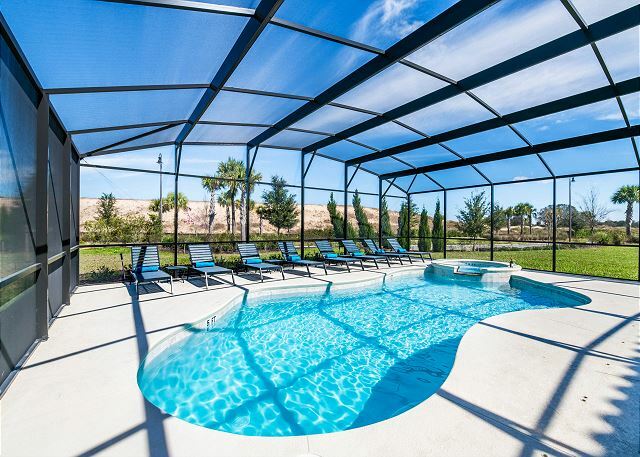 We will be glad to help you book this incredible home for your Golf trip, Family Reunion, Corporate Retreat or Getaway.